"Come with me [to PSP Minis] if you want to live." 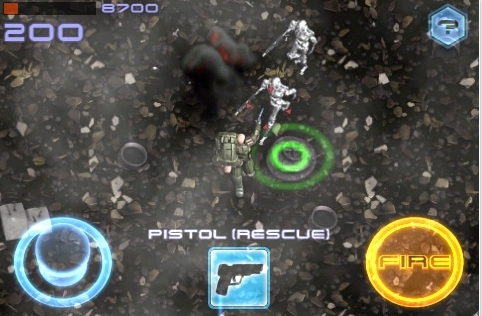 It looks like Big Head Games is bringing its iPhone title, The Terminator, to PSP Minis soon. The ESRB recently rated the title for the PlayStation Portable and PlayStation 3, with the developer's Web site confirming the game as a Minis title. The Terminator -- a top down shooter -- was released for iPhone last July, and follows Kyle Reese in his mission leading up to the 1984 film. The title features both story and quickplay modes, and is described as a game for those who "love casual action games, big explosions, and lots of noise." Users on the App Store seem to think the game's alright, with over 300 users giving it an average of three out of five stars. No word on when the game will hit PlayStation Network, but the ESRB rating suggests we could see it soon.